Best Network. On Time Payments. Knowledgeable AMs. Best Offers with Best Payouts. 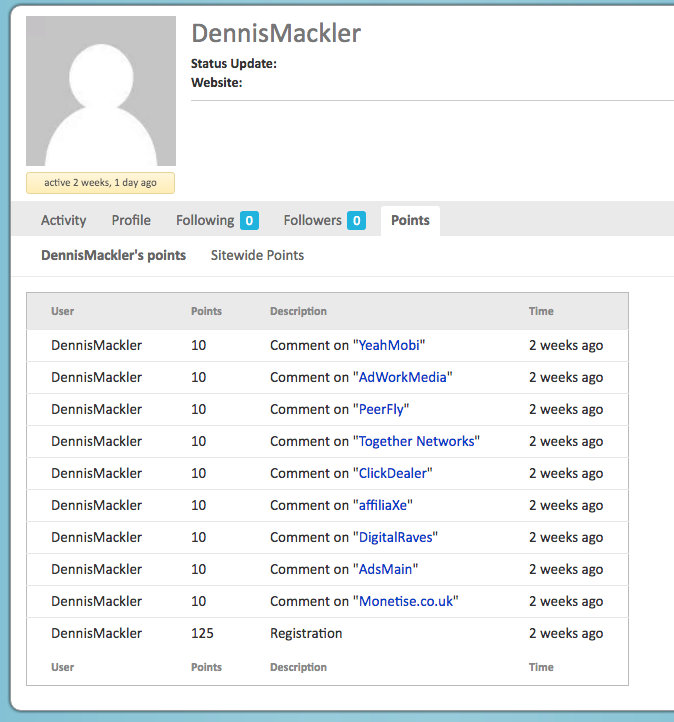 My account has been approved as a publisher on Monetise.co.uk. After two months, I tried to log into my account and I get a message that my account is not active / pending. This is a bad experience when working with such networks. Please refer to the screen grab http://www.monetiseimages.co.uk/images/147032339491400.png for the companies he reviewed in the one day of activity. Can you let me know what email address you signed up with? I want to make sure this is looked in a matter of urgency. We’ve been working with affiliate networks for the last 15 years, and Monetise is one of the very best. There’s a superb range of lead gen campaigns with very competitive payouts, and payments have always been on time. Any issues and queries are dealt with far more quickly than most other networks and the account managers have always been very supportive. 100% solid network with knowledgeable AM’s, hard to find offers, on-time payments, and all the support you need to make serious money. One of my favorite networks to work with – hands down! Monetise deliver a consistent and essential service to the Affiliate Industry and are Market leaders in my own opinion, they can only be summed up as first-class. In terms of Payments I have never once experienced a late payment or had to put up with excuses. Just like Clockwork my payments arrive on time each month. They have a large pool of Advertisers and Campaigns available to both Display and E-Mail affiliates. I was one of the first 100 publishers on the network and they have continued to exceed beyond expectations even after all of this time. Communication is essential in this business. I don’t mean merely sending out impersonal blanket emails, I mean real, proactive engagement which my Affiliate Manager Phil offers. Worked with Monetise for years now and always find service and programmes in a league of their own! Approachable and reactive they have the best programmes bar none. Really impressive click thru’s. Great communication with the account managers Clive and Phill. Payout is fast and simple and the added rewards for hitting targets are always nice. Forgot to mention – they also send out lots of affiliate freebies, just for being on the network! I just received a very tasty packet of bonfire toffee from them for no apparent reason, and they give monthly rewards too. Best network in the UK by a mile! Brill support (Ricky and Clive), and they have paid me on the dot for over 2 years. Good range of offers, although more would be great, and payments have always been made regularly. Extremely knowledgeable, dedicated and approachable account managers with a good experience of affiliate marketing which is always useful. To put this into context, one of the larger networks I’ve dealt with has taken days to provide a response to a query, and another has never even bothered to reply at all. To date, it’s normally a matter of hours to get a personal response from Monetise and I don’t think I’ve ever waited longer than a day (which is never one of those annoying ‘copy and paste’ jobs either)! Monetise are very friendly and responsive. They’re campaigns seem to track and conert well. They have lots of very good offers, they always pay on time. Monetise are a great network with friendly account managers always willing to go the extra mile. I have worked with them for over a year and always found them to be professional, pay on time and have interesting campaigns. Would highly recommend them. Great experience with Monetise! Lots of incentive, non-incentive UK campaigns with better payouts than elsewhere. Ricky works hard to keep great affiliate relationships and has always been in contact if I have any issues – even on the weekend! Monetise shows campaigns by offer rather than by merchant. The reason for this, I think, is because they seem to specialise in CPL campaigns. Whilst this is a good way of seeing everything that is on offer, scrolling through over 200 offers is incredibly time-consuming. We, http://www.BragItUp.com , use a number of affiliate networks and the simplicity of Monetise is definitely appealing. Account managers are very responsive. Monetise is a high paying UK Affiliate company. It has great security and customer service and payout isnt hard to reach..
My site benefits from its high click thru ratio and high converstion rates! A great UK based network with a wide range of offers and great payouts. If you work in affiliate marketing in the UK, it’s refreshing to be able to contact your AM during normal working hours! I’d recommend anyone to join up and check them out. Monitse is a good network, I getb swift respoce when i have queries. I would like more notce stopped campaigns and a flag on them to make them easy identify. I have also had tracking issues with some campaigns eg free gas and electricity from get me a ticket. Overall i would say a good network with room to improve. I would like a sufficient notice or a flag on stopped campaigns. Some campaigns have tracking issues (eg free gas and electricity on get me a ticket). I’va actually been working in close partnership with Monetise for about a year now and the quality of their service is just top of the chart. All the accounts managers are very friendly and very responsive to any question that you have. Do not hesitate to join the network as I’m sure you will be as pleased as I am with it.